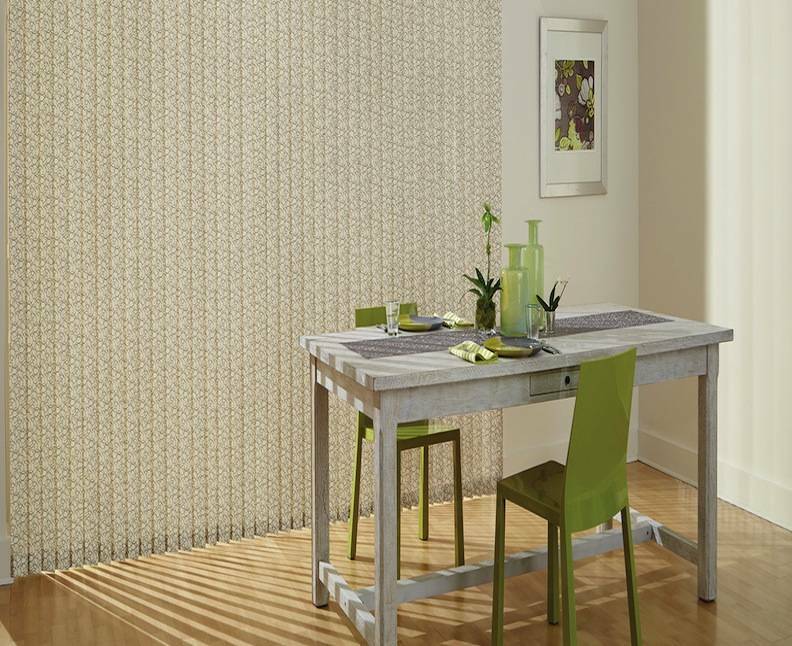 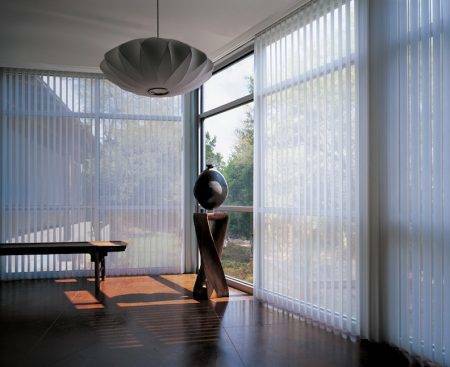 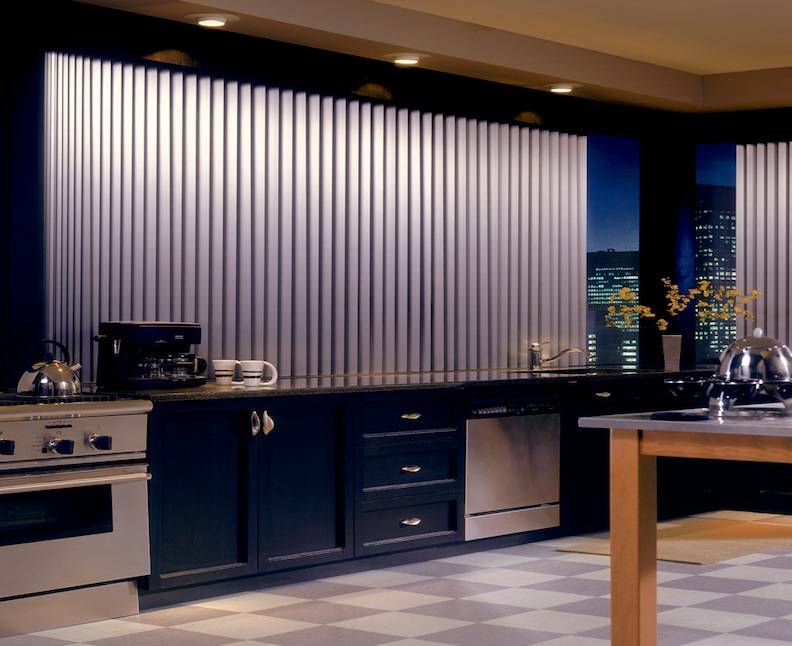 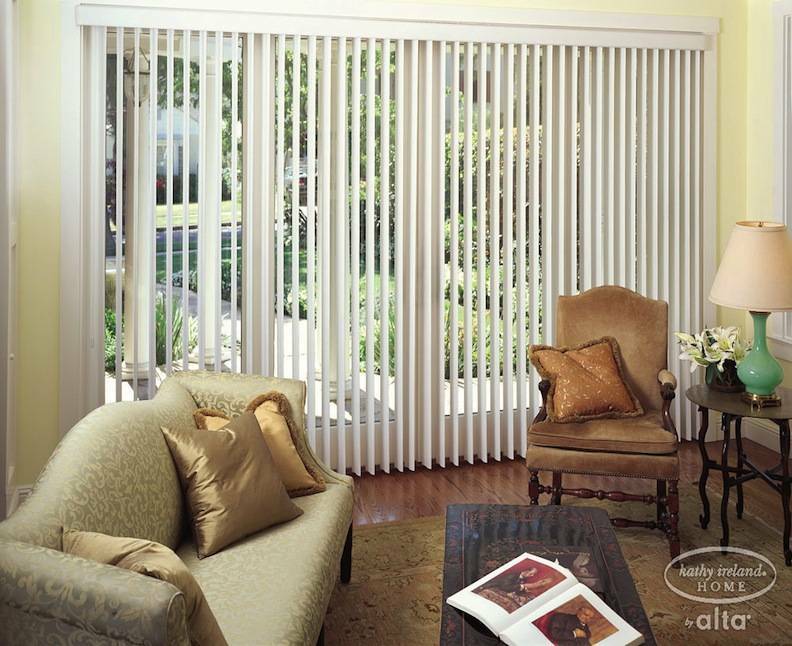 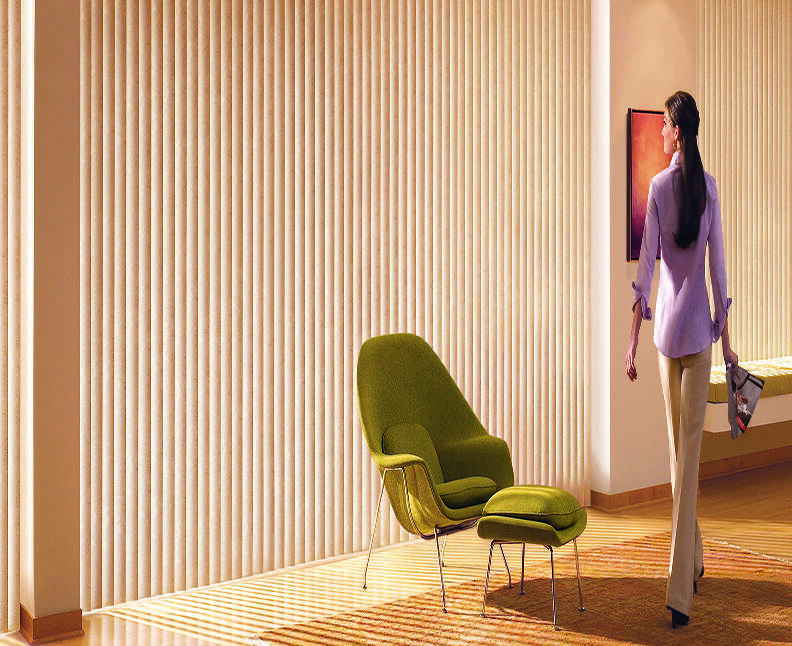 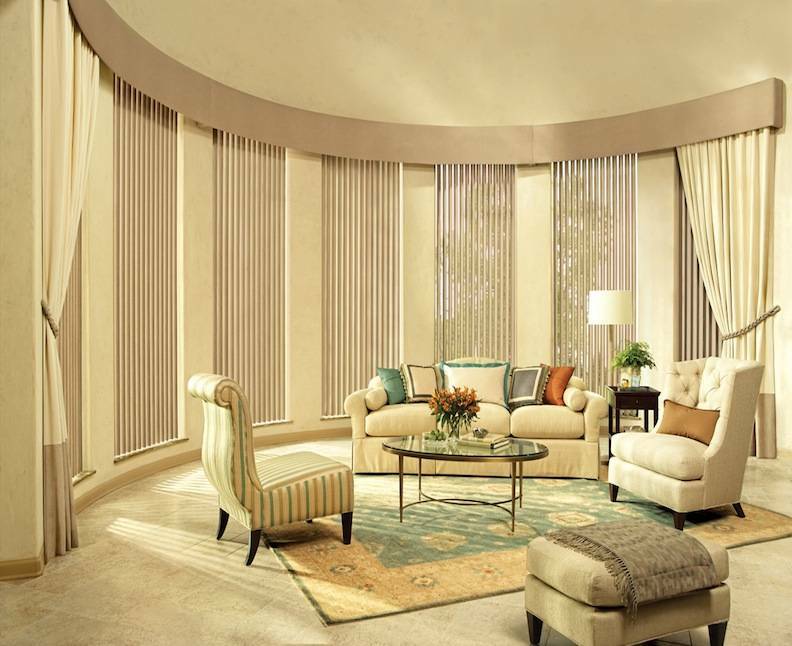 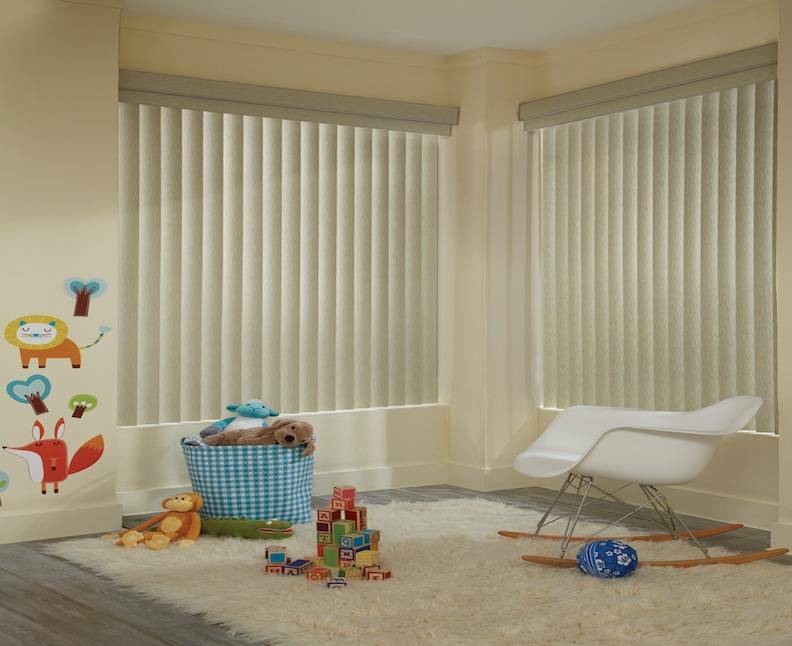 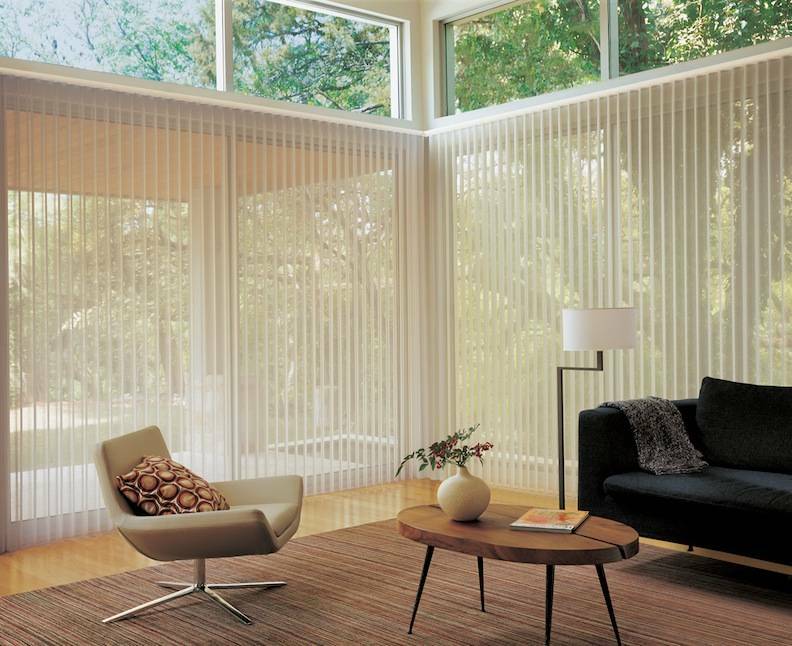 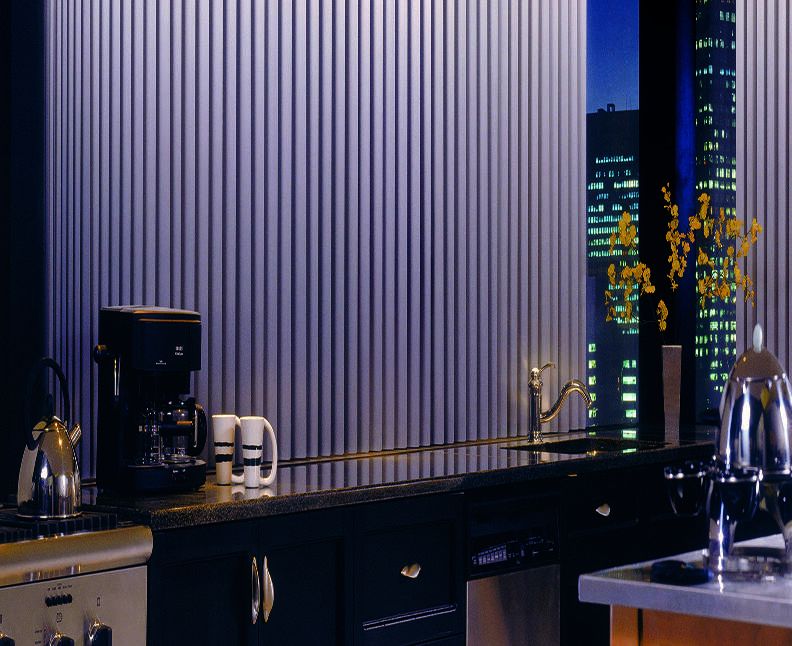 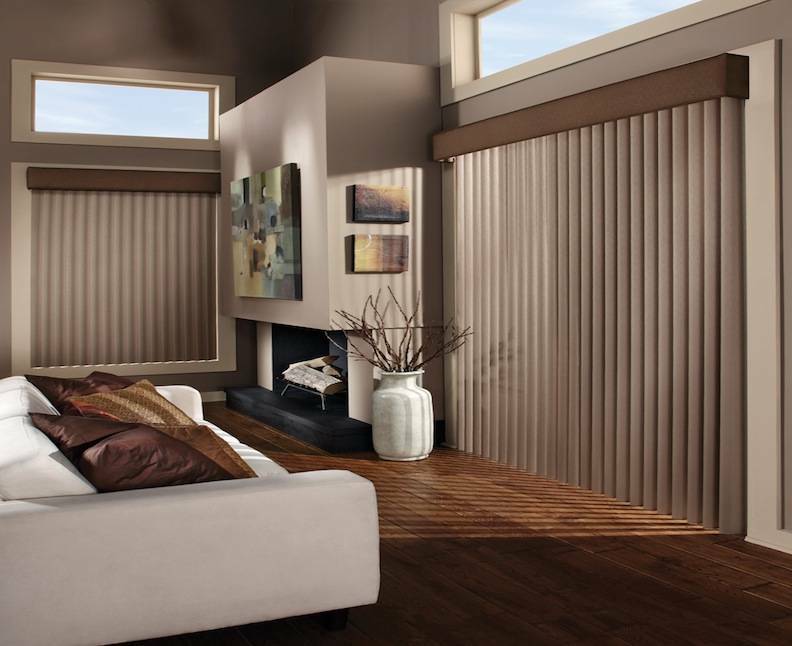 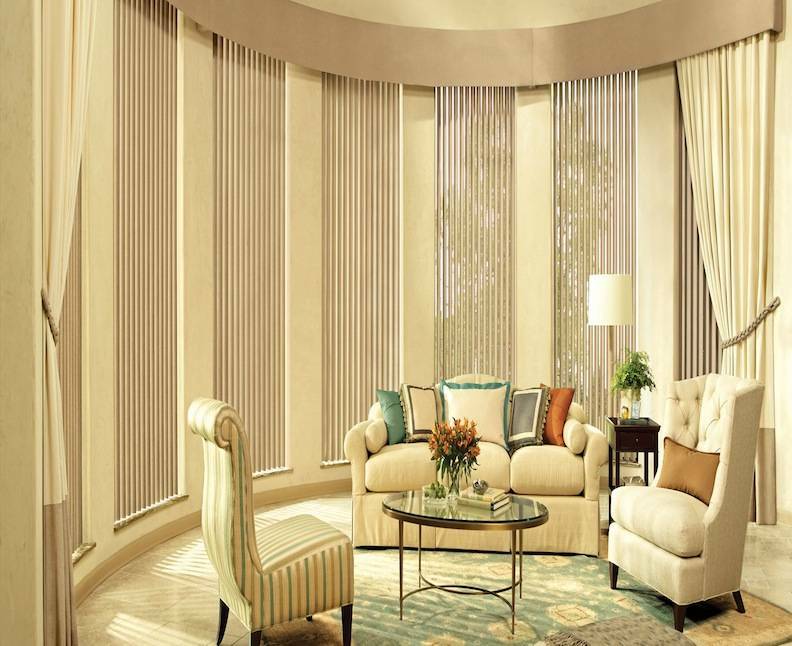 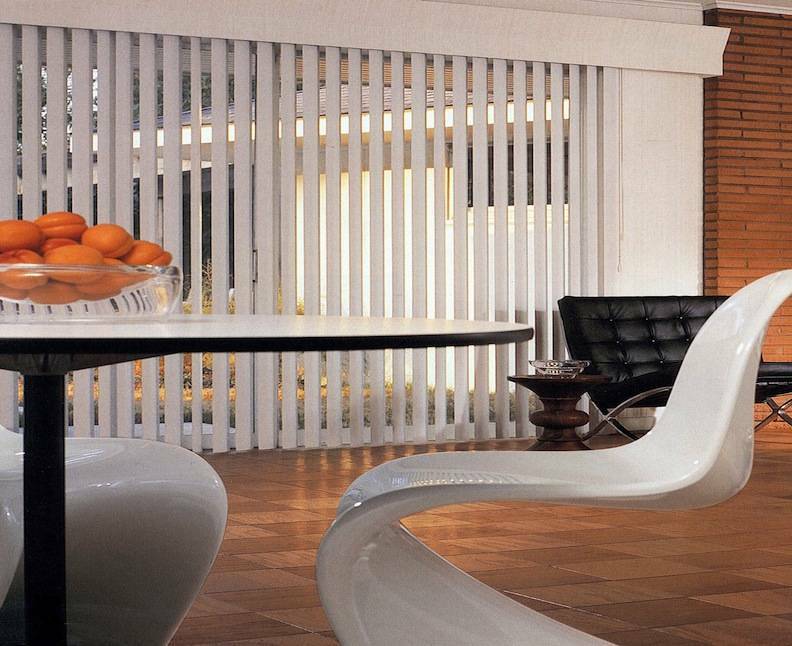 Our Vertical Solutions® Vertical Blinds are an economical assortment of verticals offered in 3 ½” or S-shaped vanes in dozens of modern styles, patterns and colors. 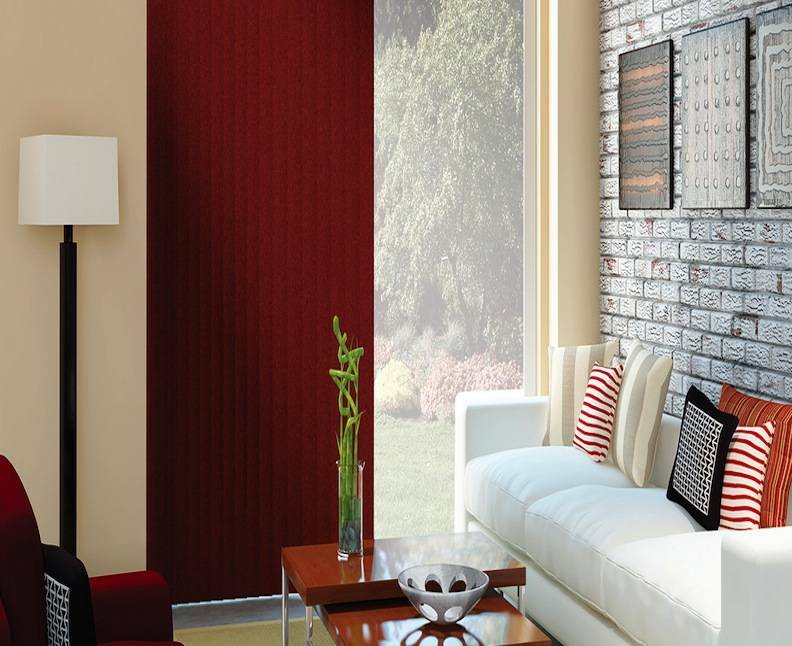 Available in fabric and vinyl. 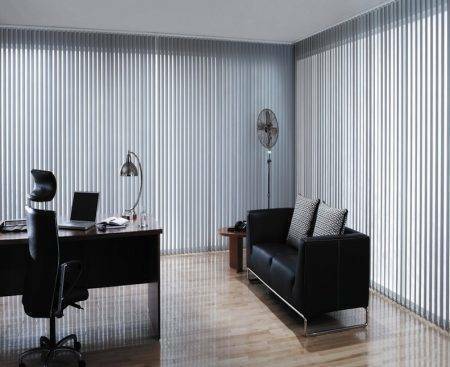 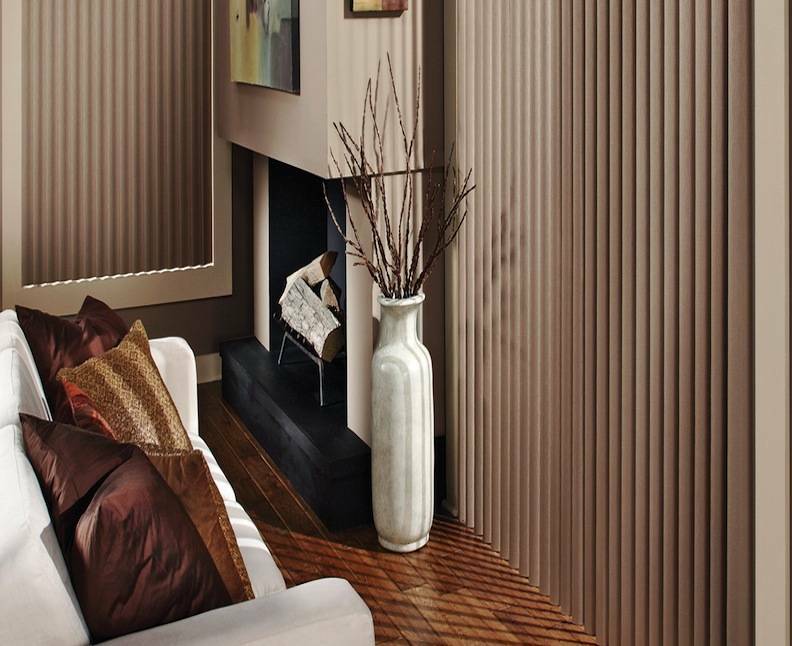 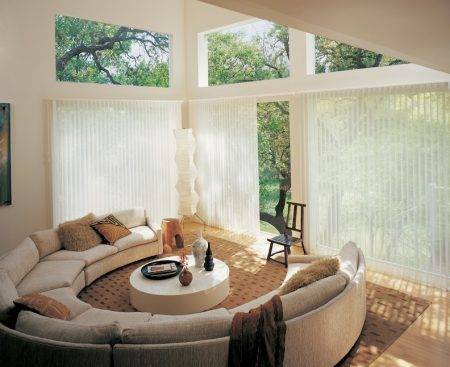 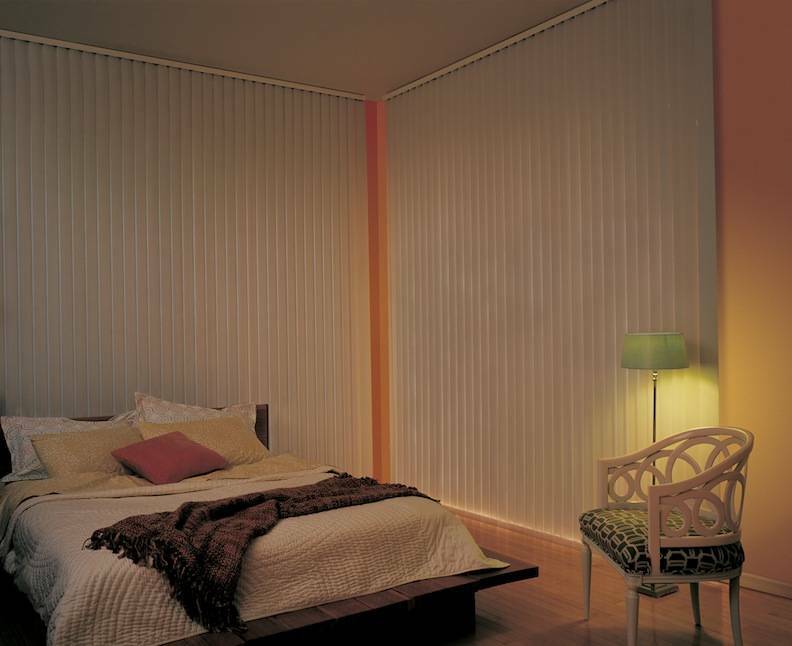 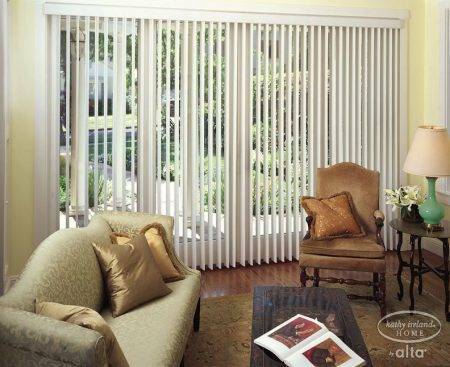 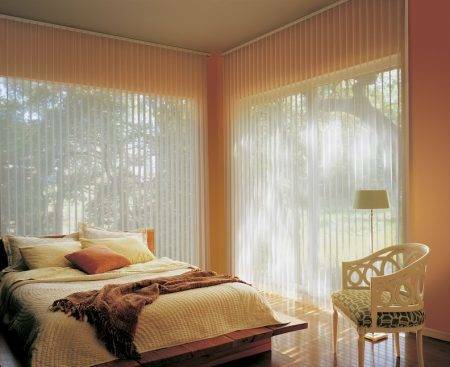 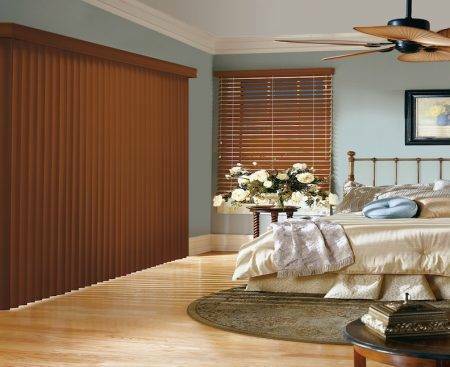 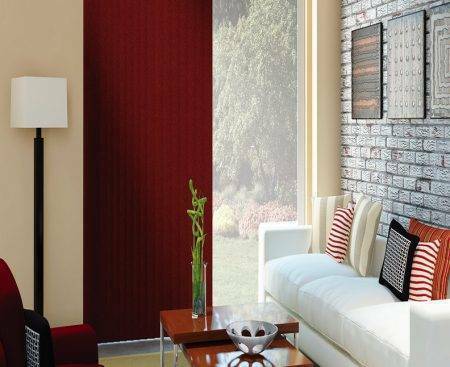 We have a Wood Vertical Blinds are specially treated genuine hardwood that adds warmth and richness to any room. 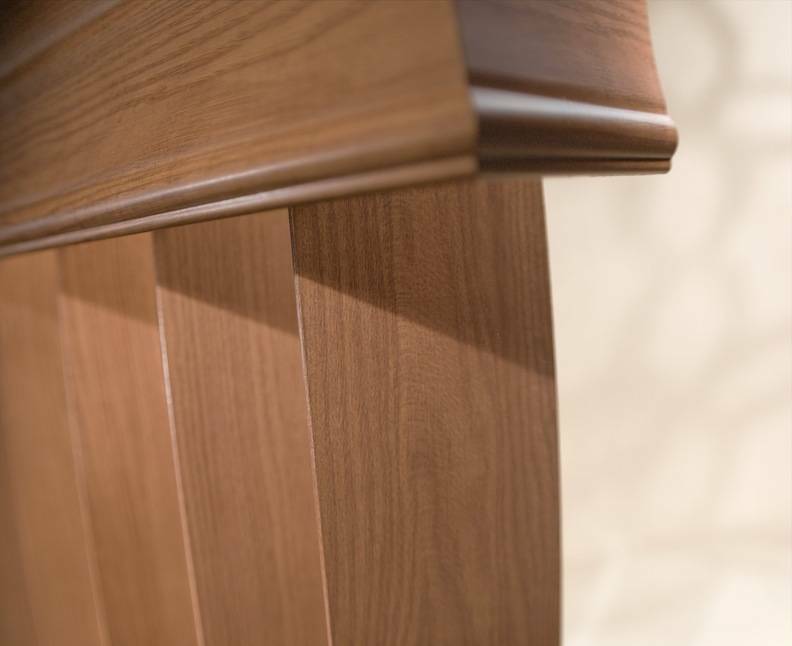 Finger-jointed construction adds strength and durability.